Last Updated Sep 3, 2018. Of all the nap transitions that take place, going from 2 naps to 1 nap can be the most daunting. The age range when this transition occurs can vary widely, in some cases occurring as early as 12 months of age, and in other cases not occurring until 20 months of age (and for what it’s worth, these were the ages of my two kids when they transitioned). For affordable hands-on support directly from me while nap sleep training, make sure to check out The Baby Sleep Trainer Program + Support. How do you know when your baby is ready to drop to one nap? Starting as early as 10 months of age, some parents believe their child is ready for the 2 to 1 transition. Babies will often go through periods where they fight a nap (usually nap two) for a while before they fall asleep, or they start to intermittently skip their second nap. This is a common occurrence especially around the 10th month of life. You’ll want to wait until your child is around the 13th month of age or older AND 100% skips their second nap for two straight weeks. Even if your child is 16 months old and occasionally skips their second nap, or even does so frequently, they are not ready to transition to one nap. Wait until your toddler skips their second nap for two straight weeks. When this occurs, you need to mentally be ready for about a one-month transition period. During this time, it’s important you do not transition from two naps to one nap from day to day. Once you make the commitment to go to one nap, you need to stick to it indefinitely (yes, even if their single nap each day is short). Let’s assume that before you transition, your child is napping twice a day, around 9 or 10 am, and then again around 2 pm. When you move to one nap, keep your child up until as close as possible to 11 am. If you are not able to keep your child up until 11 am, that’s fine, just get as close as possible. When they fall asleep, around that time, count it as their single nap of the day and keep them up until bedtime. Bedtime can be moved slightly earlier if needed. It is very important that through the first several weeks of the transition you avoid being in the car from 2 pm on as much as is reasonably possible. You want to avoid your child falling asleep in the car in the afternoon. Once your child is easily and quickly falling asleep at 11 am each morning, begin to incrementally move their nap 5–10 minutes later every 2–3 days until they are napping closer to noon. Your child’s single daily nap can start any time between 11:30 am and 1:30 pm and last up to 2.5 or 3 hrs. It is typical for kids to take short naps at first when going from 2 to 1 naps. Even if your child only sleeps for a short period of time, do NOT give them a second nap. This will preclude their body’s ability to consolidate sleep into a single, longer nap each day. If your child is struggling to make it until 11:00 am for their single nap, keep them up until as close to that time as possible, then put them down each afternoon for a “rest” period. Put them down around 2:30 pm (close enough to whenever their first nap occurs so that you know they won’t be able to fall asleep) and leave them down for about 30 minutes. Even though they won’t sleep, this rest period in the dark should be enough to recharge their batteries and keep them awake more comfortably until bedtime. Remember, the transition from 2 to 1 nap can take about a month, so be prepared for some ups and downs and bumps along the way. The name of the game is first waiting for the right time to transition (your child being older than 13 months and having skipped their second nap every day for two weeks in a row), and then being hyper consistent in following the directions above for 30 days. Natalie – Thank you so much for taking the time to write out this helpful blog post! In this past week, have have transitioned our 18 month old daughter from 2 naps to 1 nap. She is definitely ready for 1 nap, and in about a month, she will begin attending daycare outside of the home where she will take 1 nap a day as well. We were told nap time occurs from 11am-1pm. That being said, we thought we would mirror the same schedule as the daycare in anticipation of whats to come. You said the nap will gradually extend… Currently we put her down at 11am and for the past 4 days, she has napped for 1.5 hours. Should we keep her nap time at 11am rather than aim for something like 12pm? Thank you for this article! My 18 month old son is currently transitioning to 1, been going ok except for he’s back to early waking, starting at 4-5:30a. I usually get him up at 6:30am, and follow your early waking protocol, I let him work it out as long as possible. Is early waking part of the transition? He’s napping at 11a, and has had varying lengths of naps, anywhere from 1 hour to 2.5. Thank you! Yep!! And it should resolve in the next few weeks. Early morning seems to pop up a lot when there are transitions like this. I’m confident he’ll go back to normal soon. I am having the same issue with my 19 month old. He adjusted so well to 1 nap at first, but then the naps got shorter and shorter (45mins) and he woke up earlier and earlier and I’m worried if I stay consistent with the schedule he will just become overtired. Advice?? Hi Karen! It can take up to a month for toddlers to consolidate all of their daytime sleep into one nap, so what you’re experiencing is typical. As long as you know baby is safe, I would give him more time to try falling back to sleep after he wakes up from his first sleep cycle (at 45 mins). Hi Natalie! Thank you so much for all the info you share. I have 16 month twins. They sleep in the same room. What yo you mean by skipping their afternoon nap? Just refusing to sleep at that time? I think we might be there. It’s been 2 days. No idea how I can survive this for a month! Yep! Straight up refusing to fall asleep for about an hour or longer. I love This post and your site! Thank you SO much for typing this out. Why is sleep such a stressful thing? I have a question about my 15 month old (just turned that age today). He’s been fighting second nap, OR pooped during “naptime” and nap has failed. I started to transition to 1 nap, but I’m only on day 2 and am going to go back to 2 naps until he refuses for 2 weeks like you said. He is a VERY difficult sleeper, extremely stubborn. My question is, he was going down for 2 naps at 9-10ish (depending on 6-7 wake) and sleeping for 1 hour, nap 2 about 4 hours later. He’s not seemingly tired before that. However, yesterday and today I’m doing one nap have been terrible and he has been falling apart the entire day so I would like to try to go back to naps, but wonder what times you recommend. I wonder if he was starting to refuse the second nap because I had the timing a little bit messed up ? Thank you so much! I wish I had been able to ask you the question on your video yesterday, I’m worried I will do damage in a week ! Is it possible for them to start to drop the first nap instead? My daughter (15 months) has been refusing her first nap for about a week. She’ll usually wake at 7, nap at 10 and again at 2, bed at 8. This week she’s woken up at around 7:30/8, cried for an hour at 10 and then finally napped at 2. Fighting the 10am nap is most likely due to the later wake time (she’s probably not tired at 10am if she’s sleeping in longer). Also, if you haven’t already, come join my bi-monthly Facebook lives (1st and 3rd Tuesday nights at 7pm PST) – this is a great type of question to ask! Thank you! My 12 mo old has really long wake windows. If he wakes up at 7 he isn’t ready for a nap until 10:30 or so. Ideally i wake him up after an hour to hour and a half after that first nap. Then for the afternoon he usually isn’t ready until 3:30 and sometimes he won’t even take the nap. This has been going on since he was like 10.5 months old. Can I switch him to one nap? It sounds like he might be ready, but that blog post should help you know for sure. Haha just now reading this response! He hadn’t “officially “ refused the 2nd nap for two weeks before I started putting him down for one nap. So, I guess I messed up. He just kept refusing his first nap and nap 1&2 merged into a single nap for the day. So far he has only slept for 1.5 hours for that one single nap. He is now almost 13 mo old. His nights are awful waking up 3 times at night. Is this because he is not getting adequate day time sleep? Should I try to get him back to two naps a day for the next two weeks to see if he refuses the 2nd nap so I will truly know for sure that he is ready for just one nap?? I’m so scared to mess his little sleep system up!! This is a great post on 2-1 nap transition. I have a similar issue here with Kristen except that my 13mth old is skipping his afternoon nap. He has always been good for his morning nap. But just 1-2 weeks before turning 13mths, he start to reject his 2nd nap in the afternoon. In fact, prior to that, he has been taking his 2nd nap later and later from 3pm+ to 4pm+ and sometimes even at 5pm. Even if that is the case, we still try to keep his bedtime around the same time as the 2nd nap had became less than 1hr to 30mins. And with that, he had been clocking less than 11hrs of night sleep (about 9hrs+ to 10hrs+) though on average he still get about 13hrs of sleep in a day. Hence we decided to transit him to 1 nap which has happened for a week now. We started off with his single nap from 11am onwards. You mentioned that during transition, it is typical that nap can be shorter. My question is, during the beginning of the 2-1 nap transition, usually how long will they or should they be napping? Because my boy initially nap for 1.5hrs for a few days. Then subsequently he nap for 1hr and he woke up and then fall back to sleep. I am concern if I made the wrong decision to transit him to 1 nap. Really appreciate your reply and advice. Thanks! This post had given me great comfort in knowing that I was doing the right thing when keeping his naps consistently at 1 even when the naps were running short in the very beginning and early wakings were popping up on and off. I would like to know, however, if his bedtime is good to keep as is or it should be move up earlier or pushed back later. After pushing the naps slowly by 15m at a time, we’re finally at anywhere between 11-11:45 put down for his nap. He usually does 1.75-2.5hrs. If he wakes around 1pm, his bedtime is at 6:30pm, if he wakes around 2pm, bedtime is 7-7:15pm. Do you think I should keep the bedtime the same regardless of when he wakes up from his nap or does this seem okay? Thank you so much!! Ohhh thank you so much for your response!!! Shall do!!! When does baby’s lunch fit in if the baby is sleeping from 11-2:30 ish? We haven’t transitioned my 18 mth son to 1 nap yet (he takes a nap at 10 and 2, but has been fighting both naps, so have deferred to driving him during his morning nap). I’m just curious since he normally eats lunch right at 11:30/12. I feel like if he eats at 2:30 after his nap, then his 5 pm dinner for 6:30 bedtime will be too soon. Thanks so much! Thanks to you, my son has slept through the night since 3 months old and everyone always comments on how amazing it is that he goes right to sleep! I always refer to your book and blog He’s 17 months old and I just transitioned him to 1 nap a couple of weeks ago and everything was going well- his nap got longer too. But all of a sudden he started waking up at 4:30am (we still leave him in his crib until 6:30) and his nap is so short (30-45min). He still has no problem staying up til bedtime (6:30pm) but he has started crying when I put him down and it lasts about 15 min. He never used to cry! My sister says it’s just the start of terrible 2s and his sleep will probably go downhill from here. I’m hoping that’s not true. Please give me some advice on how to proceed! This article has given me some reassurance with my current situation. I started transitioning my 14 month old to one nap about 4days ago. The problem is that he tone nap has been soooo short! She’s done 40 mins 3 times and 1.30 once. When you say be prepared for short naps, does this sound typical? Do you think this will last a while month?? Is there anything I can do to help her increase her nap length?? Hi Kate! Yes, sounds totally normal. 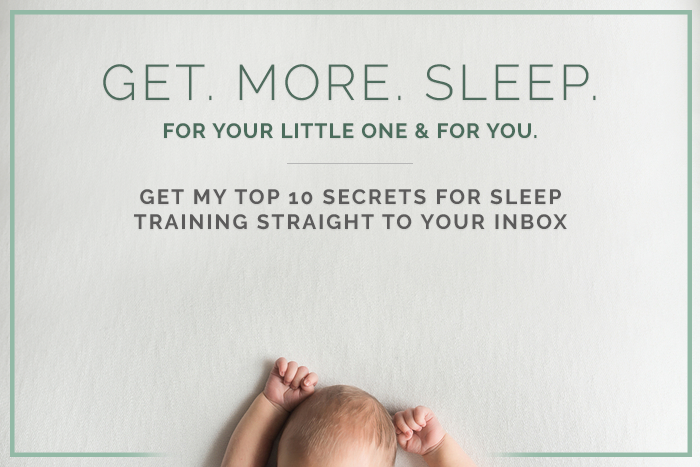 It really can take up to a month for your kiddo to learn how to consolidate all of their daytime sleep into one longer chunk. There’s not much you can do to help either besides giving her some time when she wakes up at the 40 minute mark to try and fall back asleep. Some kids can take 10-30 minutes to fall back asleep (assuming they already know how to fall asleep on their own). I have 14 month old twins who are as different as can be. BUT, we do have a great 2 nap routine going, with 1 or both protesting their afternoon nap intermittently but eventually falling asleep after 45 min/1hr. When will I know you change to 1 nap for both? As soon as you switch one baby to one nap, switch the other as well. It won’t be ideal, but it is a little bit easier to force a child to one nap than any other nap transition. But I would delay it as long as possible. This post is really useful thank you. My little girl is about to turn 18 months next week and have been trying to transition to 1 nap for the past week. We are giving her lunch and laying her down 12-12:30ish but has only been having 30mins and waking up crying. Have tried everything and can’t get her to go back to sleep. Should I be trying something different? With such little day time sleep she’s so tired and hyper in the afternoon. I miss the rest of her longer lunchtime nap. Help!! Hi Jenna! I don’t think so!! Just keep on keeping on and give it a few more weeks. You may want to push her nap closer to 1 or 1:30, so the afternoon before bedtime isn’t as tough. Thanks Natalie. I am noticing she is getting tired about 11ish. Should I be bringing forward her lunchtime nap (only one of the day) to around this time. I wonder if she’s gettjng so overtired going from 7am – 12:30ish that this is stopping her having a restful arvo nap? Hi Natalie – thanks so much for this helpful post! Because of this awesome info, we kept our now 14 month old on two naps through six weeks of protesting his afternoon nap (sometimes but not always) when he was 10 months old. Everyone said he looked like he was ready to go down to one nap, but we held out and followed your two straight weeks advice and now he’s back to taking two great naps a day again – so first off, THANK YOU!! Secondly – I was curious if you had a potential schedule for once we drop the second nap and are down to one? I’m struggling to figure out how to fit in lunch with his two snacks if he’s napping in the middle of the day? Thanks so much!! That’s great to hear! I wouldn’t look at it as meals vs snacks. Instead, just make sure he has some form of calories every 2-3 hours. So whenever he’s doing his one nap, just make sure there is snacks or meals every couple of hours. My 16 month old twins have always been very different in their sleep needs. Currently twin A is happily doing two naps (between 1h15 and 1h45) whereas twin B seems to want to transition for quite some time now. He does not particularly fight the afternoon nap, but his naps have shortened from originally 1.5 hours to only 30-45 min. He wakes up pretty cranky from those short naps, so I assume he is not tired enough to sleep longer but would clearly benefit from more daytime sleep/longer naps. Do you think the transition would solve this issue? I don’t want to push it, especially since it will be hard on twin A who barely makes it from 7-10am right now. But the catnaps twin B takes become more and more of an issue, and in the rare cases he sleeps longer he is way happier. Twin B also isn’t ready to transition to one nap, seeing as how he still falls asleep for two naps each day. Wait until one twin skips one of their two daily naps each day for 2 straight weeks, then transition both to one nap. I’d put it off as long as possible, because Twin A in particularly will have a really hard time prematurely transitioning to just one nap.